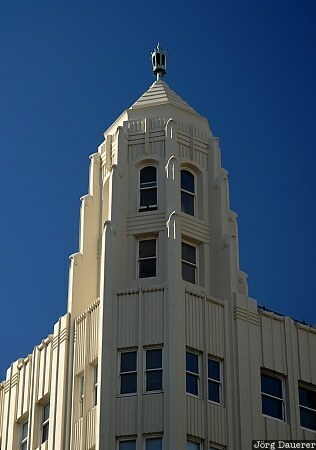 The tower of an art deco house in Perth, Western Australia, Australia. This photo was taken in the morning of a sunny day in March of 2007. This photo was taken with a digital camera.